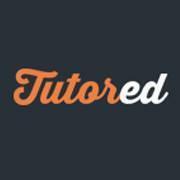 Tutored, a Rome, Italy-based tutoring platform for university students, raised €400k in seed funding. Backers included LVenture Group (which committed €50k increasing its stake from 10,79% to 11,01%), Club Digitale, and Club Italia Investimenti 2. The company intends to use the funds to continue to scale operations in Italy and abroad (launching in New York, Berlin and London). Led by Gabriele Giugliano, Nicolò Bardi, Gabriele Giugliano, and Martina Mattone, Tutored provides an online marketplace that connects university students with private teachers to get private lessons online. It currently has a community of over 100.000 users and 400k visitors a month. The company, which was accelerated within LUISS ENLABS, had raised €400k earlier in 2015. The company has a team of 14 people.